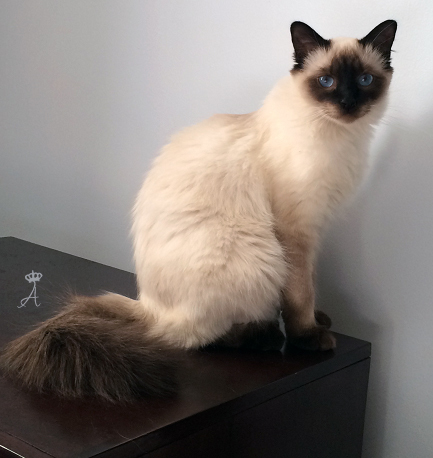 The Balinese cat breed was originally known as the long-haired Siamese. The long-hair gene appeared naturally in Siamese cats, and occasionally, if both parents carried this recessive gene, long-haired kittens were born. The early breeders of the Siamese cats weren't enthusiastic about this trait and considered it a fault. And so, kittens with longer coats were given away as pets and not used in the breeding program. There must have been long-haired Siamese in Thailand, where the original Siamese cats came from (read the story here how the Siamese began their world conquest), but they were not described in literature or art in the area of the breed's origins.The breed is rumored to be shown in some old Chinese tapestry, but I haven't found links to it. Also a penny illustrated magazine is said to have referred to a Siamese with long hair in 1871. Not certain if this really is so, as the Siamese had only just appeared in Europe - possibly shown at the Crystal Palace in England in 1871, and only arrived in the US in 1878. The long-haired Siamese looked quite beautiful, so it was no wonder people began to breed them, and the first Balinese appeared in a US cat show in 1928 (still under the name of long-haired Siamese). Still, the actual breeding of these gorgeous cats did not begin for real until the 1950´s. Interestingly enough, this happened simultaneously with the Siamese breeders' attempts to begin to create a more modern type Siamese, also called the wedge-head. So the original, more round Siamese breed 's looks were being deliberately changed to different directions. 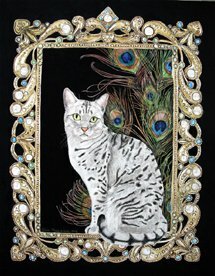 The three breeders who were considered to be the foundation breeders of the Balinese were Marion Dorsey of Rai-Mar Cattery, Helen Smith of MerryMews Cattery and Sylvia Holland of Holland's Farms Cattery. In the 1970's the Balinese started its European conquest and these days these beauties can be found all over the world. 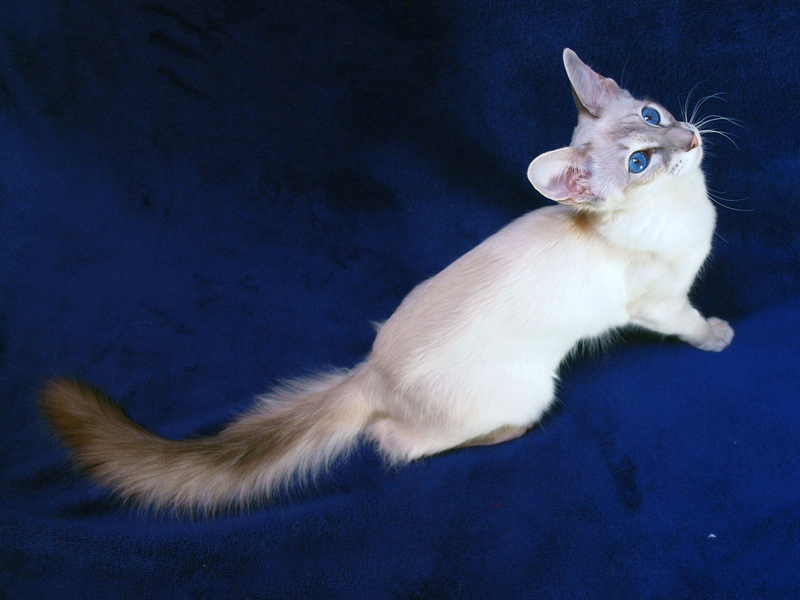 Even though the Balinese cat breed is said to be a natural mutation, there has been some doubts if other long-hair breeds (like the Turkish Angora and the Ragdoll) were cross-bred to the Balinese to strengthen the long coat. Nevertheless the breed is considered "pure", because breeding long-haired Siamese to each other consistently produced long-hair kittens. 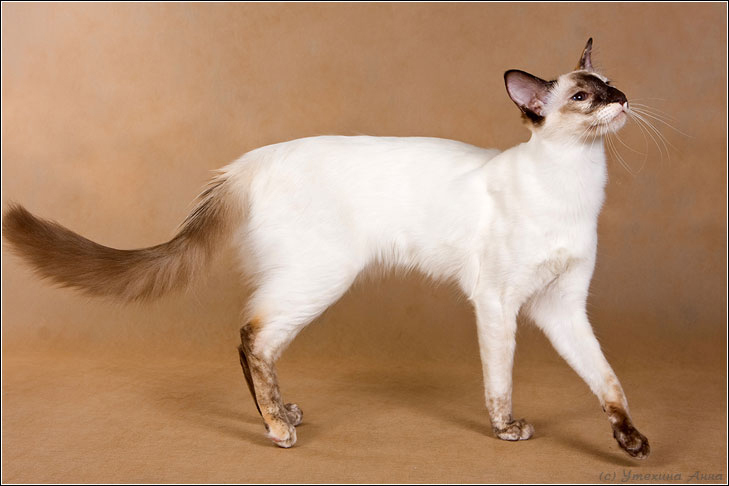 In Europe the Balinese have been crossed with the Angoras to make the coat longer, and in the US with Siamese to give the cat more Siamese appearance of shorter hair, yet keeping the proud plume of a tail. The breeders of the short-haired Siamese did not look favorably at the long-haired variation being called Siamese also, so a new name was given to the breed. 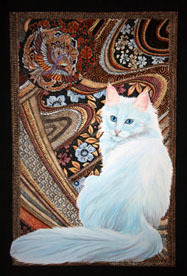 One of the original breeders, Helen Smith, introduced the name Balinese. The idea may have been to keep the location of the name in the same general area as Siam to stress the fact the breeds were very much related. And the story goes that she admired the graceful movements of the dancers in Bali as well. Hence the name Balinese was born and accepted. The breeding work continued - at first only the traditional Siamese colors were bred: seal, chocolate, blue and lilac. 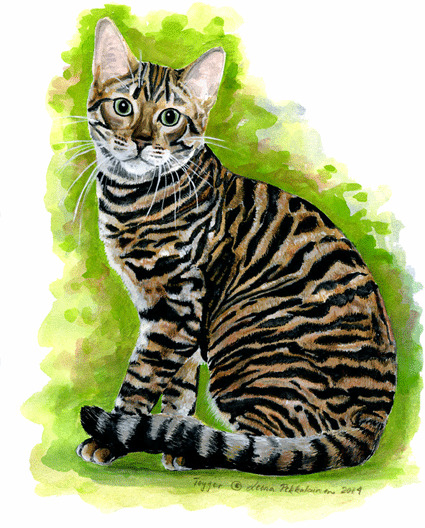 With crossbreeding with other breeds other, less traditional colors were achieved: red/flame, cream, lynx and tortie. These cats were named as Colourpoint Shorthairs. A Balinese is considered purebred if the cat has from three to four generations of Balinese / Siamese lineage. 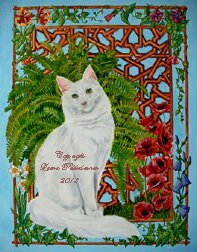 This is usually a healthy breed, especially the traditional Balinese cat breed. Most modern breeds may have some health issues, but responsible breeders have a keen eye on any problem, so these issues should be weeded out as soon as possible. So, what is a Balinese like as a pet? Click here to read more.